We are the Mines Owner and Leading Manufacturer of Katni Marble in Indian Marble Industry. We have our own manufacturing unit and stockyards where Katni Marble blocks are processed into Marble Slabs and Marble Tiles in variable sizes. These Katni Marble Slabs and Tiles are supplied all over India to Traders, Retailers, Builders, Architectures, Consumers, local market suppliers and many more, for various residential and commercial projects. We also export Katni Marble World-Wide since 1969. 1) What are the Various Sizes available in Katni Marble Slabs & Katni Marble Tiles? a)The Katni Marble Slabs having too many sizes i.e. 3*3, 4*4, 5*5, 6*6, 3*2, 6*9, 6*7, 4*3, 4*8 sq. feet or many more. But If customer is in need of particular size that can also be served by cutting on advance order (but they should less than 10*6 per sq feet) .The average size of Natural stone slab is 6*5 per sq.feet. b) Basic cut sizes or Katni Marble Tiles are available in 24*24, 24*18, 24*12, 24*9, 24*6, 21*9, 18*9, 15*9. 12*9, 21*6, 18*6, 15*6, 12*6 sq. inches or many more, and it can also be cut down as per the desire of our clients by special order. 2) What is the Best Competitive Price Range of Katni Marble? With the qualitative natural stone, if the prices are also upto the mark then only the customer get ultimate satisfaction for what they are looking for. Our clients belonging to any class can get satisfied by matching the desired qualitative products as per their budget line, due to having abundant variety in competitive price range. 3) What can be the various attractive, figurative designs and patterns in Katni Marble? In Katni Marble, a large qualitative variety can be found in different natural figurative patterns & designs. Unlike white marble or Italian marbles, it has very broad strip patterns. This makes possible the diamonds patterns, straight lines patterns, cross lines figures, zig-zag pattern, rectangular figure, rounded shapes or many more, which are very attractive, decent and adding lifelong beauty to residential & commercial projects. 4) In Today’s scenario, what is the Demands and Utility of Katni Marble? In 21st century, there is a buzz all round in real estates and construction sites. The Marbles are required at large worldwide. As such, the Katni Marble is widely used in homes, offices, factories and buildings, industries, schools, hotels, temples, mosques, churches and many more in best competitive prices as a long lasting product world-wide. Katni Marble slabs & Katni Marble tiles can be used for flooring purpose, wall cladding, kitchen countertops, tabletops, pool sites, tops, worktops, bathroom counters, contemporary living rooms, drawing arrangements, dining spaces, hotel lobbies, windows and may more in traditional & modern looks which we provides at a reasonable Prices. Ultimately, the best part of the Katni Marble is that it increases the Value of your home and remain in fashion all the time. 5) What is the Durability of Katni Marble? Katni Marble is one of the finest qualitative stone. It needs no chemical reinforcement like some other marble products, no pin holes, no color change and no loss of polish. This is practically verified by abundant utility at various lands & buildings (residential or commercial) in world-wide. Thus, one should take the decision gently before buying any Natural Stones in order to earn life time durability. And we are always here to serve you the best as per your desires and needs. 6) After fitting of Katni marble, how long the polish is require again on Katni Marble? We supply Our Products ( Indian or Imported) all over in the INDIAN MARBLE MARKET and also exporting the same world-wide since 1970. Andhra Pradesh – Hyderabad, Arunachal Pradesh – Itangar, Assam – dispur, Bihar – Patna, Chhattisgarh – Raipur, Goa – Panaji, Gujarat – Gandhi Nagar, Punjab – Chandigarh, Himachal Pradesh – Shimla, . Jammu and Kashmir – Jammu, Jharkhand – Ranchi, Karnataka – Bangalore, Kerala – Thiruvananthapuram, Madhya Pradesh – Bhopal, Maharashtra – Mumbai, Manipur – Imphal, Meghalya – Shillong, Mizoram – Aizawl, Nagaland – Kohima, Orissa – Bhubaneswer, Rajasthan – Jaipur, Sikkim – Gangtok, Tamil Nadu – Chennai, Tripura – Agartala, Uttar Pradesh – Lucknow, Uttarakhand – Dehradun, West Bengal – Kolkata and many more cities. 8) The Positive and Negative Point of Katni Marble ? A ) Positive: Katni Marble can be used as a substitute of Imported Marble. It has high luster and visual appeal like Imported Beige colors marbles i.e. Botticino, Crema Marfill, Perlato etc. This can also be named as Indo-Italian Marble. Thus with very little investment, consumer can get the similarity of Imported Products as a long life project. B) Negative: Likewise Imported Products, Katni Marble having also little filling in it. This is also chemically processed to get in final product. But this only with minimum price range. If consumer will go for little high Quality, then there is no filling and will get fully fresh Katni Marble for sure. It is not good for open area like roof. We are giving same quality of Katni Marble in 100% same price (Fix Price) to Consumer and Trader. There is no variation for Consumer and Trader. We are the Mines Owner having own manufacturing unit, processing Katni Marble Blocks into Katni Marble Slabs and Tiles & maintaining own stockyards. With that we can provide qualitative Katni Marble in very nominal prices. As we are supplying Katni Marble directly from source, all over India to Middlepersons i.e. traders, retailers, local suppliers, dealers, contractors or many more. Due to that, there will be a big rise in the price by middleperson for local consumers for sure ( i.e. due to their own transportation charges, office expenses, factory expenses, other overhead expenses – labour, loading, unloading, taxation etc., middleperson own profit, commission agents/mediators profit % or many more) . These all factors unnecessary increase the price for the Consumers. This all can be crashed, if the consumer directly opt for source i.e. We. Hence, Just Think Gently before buying your kind of Stone. So, for our esteemed customers it’s better to go for source as with short term investment of time, the costumer can get big & long term benefit of quality, variety and money worth as the saved amount can be invested for another precious project. As we are the mines owner with having own processing unit cutting blocks into qualitative slabs and tiles as final product and supplying the same all over India including metros, majors & minors cities to traders, retailers, contractors, suppliers, architectures, interior designers for further sale purpose or on contractual basis in wholesale rates. Fortunately we had covered the market at large in Indian Marble Industry and also expanding our business by doing regular exports world-wide since 1970.
our team consist of highly skilled and motivated personnel.Each step right from raw stone to polished and finished product is carried out with advanced and state of the art machinery. We are proud to say that we are the most reputed name in marble world with best goodwill. Our site is regularly updated to bring to you latest designs and products. We provide easy installation, maintenance and repairs work. We Provide Onyx marble, Italian Marble, Statuario Marble, Semiprecious Marble, Indian Marble, Granite, Sandstone etc. We have 1 Millions of Customers Across the Globe. One of the Largest Supplier of Best Quality Onyx Marble. We Deal in all types of Onyx Marbles.Check Out Our World class products Gallery. We are providing our clients high quality array of Onyx Marble. This marble is finished using advanced tech tools as per the set industry standards. Offered onyx marble is a very demanded for advantages like beautiful texture, strength and perfect finish. Highly demanded in the industry, we provide onyx marble in different sizes and designs as per the requirements of clients. Onyx marble is offered at very affordable price to our valued clients. 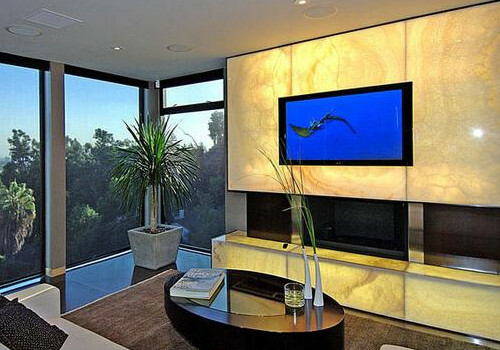 We are one of the leading Onyx marble suppliers. We are supplying our Onyx marble in Bangalore, Pune, Chandigarh and Mumbai. We Deal in all types of Statuario Marbles. For more information Check Out Our World class products Gallery. Statuario Marble is an expensive white marble. We are providing a quality collection of Satuario Marble that is available in different finish, sizes and designs as per requirements of valued clients. Offered Statuario marble is a very demanded for advantages like smooth texture, long lasting shine and high durability. Statuario marble is widely used for flooring purpose in households and corporate houses. 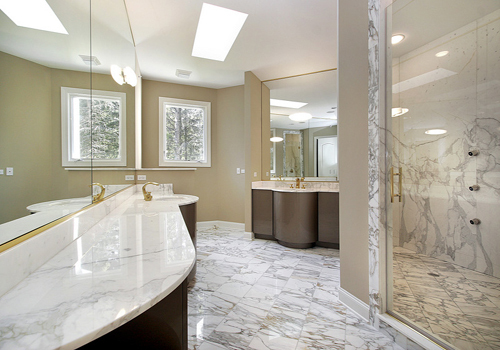 We are one of the leading Statuario marble manufacturers. We are supplying our Statuario marble in Bangalore, Pune, Chandigarh and Mumbai. We Deal in all types of Italian Marbles. For more information Check Out Our product Gallery. We are providing super class of Italian Marble. Offered Italian marble is a very demanded for advantages like smooth texture, crack resistance and high durability. Widely used for flooring purposes, we provide Italian marble in different sizes, cuts and patterns at the reasonable price to the clients. We are one of the leading Italian marble exporters. We are supplying our Italian marble in Bangalore, Pune, Chandigarh and Mumbai. One of the Largest Supplier of Best Quality Semiprecious Marble. We Deal in all types of Semiprecious Marble.Check Out Our World class products Gallery. We are the leading dealer, exporter and supplier of the best quality of Semi-Precious Marble. Offered Italian marble is a very demanded for advantages like high strength and easy to clean. Our clients can available this semi-precious marble from us in different attractive colors, sizes and shapes as per their accurate requirements. We are one of the leading Semi-Precious Marble exporters. We are supplying our Semi-Precious Marble in Bangalore, Pune, Chandigarh and Mumbai. THE PIONEER COMPANY OF MARBLE INDUSTRY. We have the largest range of Indian and imported marble, granite, stone with maximum experience of cutting and finishing of marble stone, unbeatable quality, biggest ready stock, experienced team of workers, supervisors and engineers, advance vision of future market trend and fashion makes unique identity to bhandari brand. We Deal in all kinds of Indian Marble, Italian Marble, Makrana Marble, Onyx Marble, Statuario Marble, Sandstone, Granite and Marble Handicrafts. Supplier of Best Quality Indian Marble, Italian Marble, Granite,Sandstone and Other Imported Marble…We are an India based supplier of premium quality marbles, granite and sand stone procured from the best and most reliable marble suppliers in the market.We at Bhandari Marble Company boast ourselves as one of the most reputed suppliers and exporters of natural stone from India delivering flawless products that suited to needs of our esteemed clientele. Our elegant and refined collection of Indian and Imported marbles is available in various finishes and provides a tinge of luxury to your home, offices, restaurants and other places. Extensively used for architectural purposes under big as well as small projects, our products are available in various sizes and designs. Our large assortment of Marble Flooring includes various qualities of Indian Marble, Italian Marble & Other Imported Marble. Marble supplied by us are perfect to enhance the beauty of the floors of homes, offices and other places. Extremely valued for long lasting. Since our inception only, we have been known for our 100% commitment towards utmost customer satisfaction, supplying premium quality products and services at industry’s best competitive prices and on time delivery, every time. To ensure this, we leave no stone un-turned and provide our clients only those products that are at par with our set quality standards and benchmarks. With more than 1 million happy clients worldwide – Thank you for your support! India possesses a wide spectrum of dimensional stones that include granite, marble, sandstone, limestone, slate, and quartzite, spread out all over the country. India is also amongst the largest producer of raw stone material and the sectors is quite developed and vibrant in the South, as well as in Rajasthan and Gujarat, with a dedicated resource of entrepreneurs. India also has an indigenous resource of machinery and tool manufacturers which cater well to the demands of this sector. The Indian stone industry has evolved into the production and manufacturing of blocks, flooring slabs, structural slabs, calibrated – ready to fix tiles, monuments, tomb stones, sculptures, artifacts, cobbles, cubes, kerbs, pebbles and landscape garden stones. India’s history, dating back to 3200 BC has been influenced considerably by the disposition, development and use of stones and other construction materials. Dimension stones have also left deep imprints on the architectural heritage of the country. Innumerable temples, forts and palaces of Ancient Indian Civilisation have been carved out of locally available stones. The Taj Mahal at Agra was constructed from Indian marble. This tradition of Stone Architecture has continued to the present era, with most of the important modern buildings in India like the Presidential House, Parliament House, and Supreme Court made from high quality sandstone of Rajasthan. The Bahá’í House of Worship of New Delhi stands testimony to the relevance of marble in modern Indian architecture. Stones are still the mainstays of civil construction in India, with stones being used extensively in public buildings, hotels, and temples. It is increasingly being used in homes, with the use of stones now penetrating amongst the growing middle class of India. Marble was used for building tombs, temples and palaces. For a longtime it was considered as Royal Stone. It is, however, now used in hotels and homes too. There are many varieties. •Makrana: Makrana is the source of the marble used in the Taj Mahal. It is situated at a distance of 60 km from Kishangarh and falls in the Nagaur district of Rajasthan. The region has various mining ranges, mainly Doongri, Devi, Ulodi, Saabwali, Gulabi, Kumari, Neharkhan, Matabhar, Matabhar kumari, Chuck doongri, Chosira and Pahar Kua amongst others. •Rajnagar Marble: World’s largest marble-producing area, with over 2,000 gang saw units located in the nearby town of Udaipur to process the material produced. •Agaria is the best variety of this area, with numerous other varieties and patterns, primarily in white base. The marble is dolomitic and often has quartz intrusions. •Andhi Marble: Located near the capital city of the state of Jaipur (also known as the ‘Pink City’), it is dolomitic marble with intrusions of tremolite, and is commonly known by the name of pista (pistachio) marble, because of the green coloured tremolite against an off-white background. One of the famous varieties of this area was known as Indo-Italian, owing to its resemblance with Satvario Marble. Most of the mining of this famous field is now banned by the Supreme Court of India because of the vicinity of the area to the Sariska Tiger Reserve. •Salumber Marble: Also known as Onyx Marble, it has thick bands of green and pink hint. A resemblance to Onyx Marble from Pakistan gives it this name. This is also highly dolomitic. •Yellow Marble: Though it has not been metamorphosed and hence is still a limestone, it is known as Yellow Marble in trade circles. It is mined in the Jaisalmer District. •Bidasar: These are ultra basic rocks in shades of brown and green colour found in Rajasthan. The criss-cross linear pattern given it a remarkable resemblance to a photograph of dense forest. These are also known as forest green/brown or fancy green/brown. •Gujarat – AmbaJi White Marble: It is one of the finest marble produced in India. It can be easily compared with Makarana Marble. It is highly calcic and is produced in a town called Ambaji (famous for its temple of Durga Devi). The marble has a very soft and waxy look, and is often used by sculptors. •Rajasthan – Abu Black: This is one of the rare Black textured marble available. Only produced in the mines of Abu road, this amazing Black textured stone is the finest decorative marble ideal for homemakers, temples, sculptures and corporate houses. •Madhya Pradesh – Katni Range: It is famous for its beige coloured marble which is dolomitic but highly crystalline, with very fine grain size and some quartz intrusions. The marble accepts excellent polish. Another variety of the same range is red/maroon-coloured marble. •Indian Green Marble:It is found in Rajasthan India, Indian Green Marble’s most quarries is situated in Kesariyaji it is 60 KM far from udaipur rajasthan india. This indian green marble is famous is many name in all over the world. In Europe people known indian green marble as a verde guatemala.many kinds of varieties available in Indian green marble. Indian Green Marble is Exporting in Africa , Europe , Australia , Middle East and many Asian countries. It is found in Udaipur District state Rajasthan of India. India has varieties of granite in over 200 shades. As on 2005, Granite reserves in India was 37,426 million cubic metres and ranked fifth in export of processed product. Resources are found in Madhya Pradesh, Orissa, Tamil Nadu, Karnataka, Jharkhand, Chattisgarh, Rajasthan and Andhra Pradesh. Sandstone reserves in India are found over the states of Andhra Pradesh, Assam, Bihar, Gujarat, Haryana, Madhya Pradesh, Meghalaya, Mizoram, Karnataka, Orissa, Punjab, Rajasthan, Uttar Pradesh, Tamil Nadu and West Bengal. Over 90% of the deposits of sandstone are in Rajasthan, spread over the districts of Bharatpur, Dholpur, Kota, Jodhpur, Sawai-Madhopur, Bundi, Chittorgarh, Bikaner, Jhalawar, Pali, Shivpuri, Khatu and Jaisalmer. India is among the leading countries when it comes to mining and export of sandstone. The best part with Sandstone from India is that it is available in different colors and considered best for interior as well as exterior use. Few most popular sandstone products from India include names like Tint Mint, White Mint, Mint Fossils, Modak, Agra Red, Rainbow Sandstone, Raj Green, Teak, Buff Brown, Dhoplur Chocolate, Beige, Dholpur Pink, Lalitpur Pink, Mandana Red etc. These sandstone are available in a number of finishes and come with great strength. However, Sandstone like Rainbow is only available in layered form and so is not suitable when good thickness is required. To illustrate it clearly, you can’t have cobbles out of this sandstone in particular as it is usually available in the slabs form. Botticino Marble, Bottichino Classico Marble, Bottichino firoto Marble, Beige Italian Marble, Italian Bottichino marble, Marble fro Italy! Botticino Marble supply by the BHANDARI is of the best in quality and Beige color, with a fine grain and high quality. BHANDARI Bottichino has been used in prestigious Buildings like five star hotels, prestigious Home Villa, shopping malls, Residential towers, Shop, Showroom, etc. company also supplying many beige marble like Dyna, Breccia, parleto, Dmartino, etc. different types of beige colours marble of Italy. BHANDARI MARBLE GROUP Bottichino marble dark or light beige with veins. The slabs of Bottichino marble are excellent for flooring, elevation and decoration of home Villa. have been the pioneer company in marble granite, stone and known for our 100% commitment towards customer satisfaction, supplying premium quality marble at best competitive prices. We are proud to offering a wide range of Botticino Marble to our most valued Architects, Interior designers, Builders, Hoteliers, Colonisers, Town planers etc. BHANDARI MARBLE GROUP Botticino Marble is liked by our customers all over World. BHANDARI MARBLE GROUP are famous for quality, quantity and best price of Italian Bottichino Marble. renowned GROUP across the world in the marble, granite and Natural Stones supply. This company was established in the year 1969 at Kishangarh, India. We “Bhandari Marble Group” are a well-known manufacturer, exporter, importer and supplier of a biggest level of Italian Marble, Semi-Precious Marble, Statuario Marble, Marble Stone,Onyx Marble, Granite Stone, MAKRANA White Marble,Marble Handicrafts, Natural Stone, Sand Stone And Indian Marble. Offered marble granite stones are very demanded for advantages like smooth texture, perfect finish and high strength. These marble granite stones are precisely finished with the help of cutting-edge technology and tools as per the international quality standards. 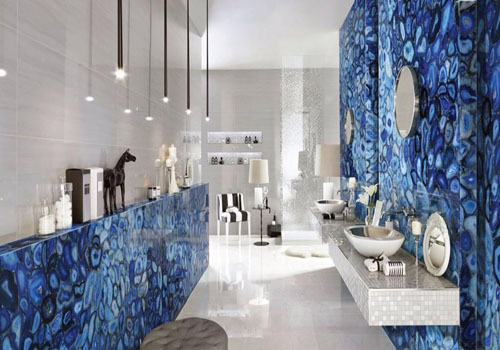 The provided marble granite stones are used in the construction of floor and counter tops and other decoration purpose in both, residential and commercial areas. We provide these marble granite stones in different colors, patterns, sizes and designs, which can also be customized according to the clients’ demands. We at Bhandari Marble World export Marble, Granite, Stone, Tiles, Slabs, Flooring, BHANDARI supply to Onyx Marble, Italian Marble at USA, UK, UAE, India, Delhi, Mumbai, Bangalore, Italian Marble in Pune, Hyderabad, Jaipur, Italian Marble in Chandigarh, Italian Marble in Mumbai, Ludhiana, Amritsar, Panchkula, Hisar, grugram, Noida, Ahmedabad, Surat, Rajkot, Kolkata, Cochin, Trivandrum, Channai, Coimbatore, Trichi, Salem, Namakal, erode, Mangalore, Hubli, Ballary, Mysore, Visakhapatnam, Vijayawada, Sikandrabad, Rajmundri, Bhubaneswar, catak, Siliguri, Gohati, Patna, Lucknow, Agara, Kanpur, Bhopal, Ujjain, Indore, etc and all over World.Italian Marble Wholesaler, Italian Marble Manufacturer, Italian Marble dealer, Italian Marble distributor, Italian Marble Merchant, etc. have floor plan for individual Hotels, Villas, house, Residential Towers, township, shopping malls, IT centers, showrooms, shop, etc. BHANDARI MARBLE GROUP ‘S experience the quality and quantity we invite you to visit Bhandari marble Group, Kishangarh, Rajasthan, India. Botticino Marble , also known as Bottichino firoto, Botticino semi Classico, Bottichino Classico Marmi Botticino etc is a well-known beige Italian Marble. BHANDARI MARBLE GROUP presents an uniform beige coloured background, thin grain white veins. Botticino Marble main variations depend mostly on the grain thickness and presence of more or less dark or white lines. Applications Elevation, Floors, Walls, countertops , Hotels, Villas etc. Marble, Granite and Natural Stones. Marble description: The Botticino Classico is a classical beige colored natural stone with some light veins. Slabs of natural stone of Italy. Botticino marble is used from many centuries. BHANDARI MARBLE GROUP happy to let you know that we are offering BHANDARI MARBLE GROUP all across World. Best quality with Quantity affordable price,after sells Service, save your Time and Money also. Botticino marble is one of the best marble Architects and Interior designers recommend, as chosen by our customers.You can visit bhandarimarblegroup/EBOOK/ on Google. Botticino Marble is famous for its long lasting and eye catching looks. It’s one the most beautiful Italian marble. Botticino Marble is chiefly used in flooring, elevation and decoration. 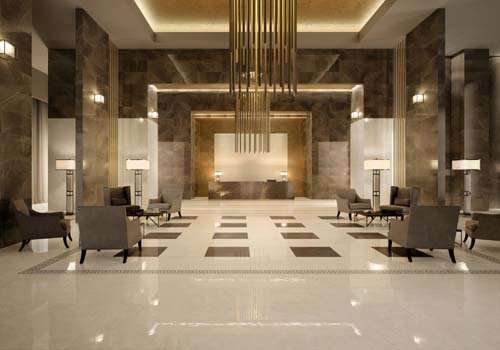 Botticino Marble is used in Hotels, prestigious Villas, Home, offices, IT park, shopping malls, Residential Towers. Botticino Marble is one of the best and beautiful Marble pure Beige color with white and dark lines. Botticino Marble Slabs and Botticino Marble Tiles are available in polish, unpolished and many type of finishes. Botticino Marble is famous for its luster and similar look with fine quality, Beige colors. Botticino Italian Marble is available in big size and 16 mm, 18 mm and 20 mm thick. BHANDARI can customise any size and thickness of requirements of customers on advance order. Botticino Italian Marble slabs & tiles and also in beautiful Handicraft. The cost of Botticino Italian Marble depends on the government duty, taxes, thickness, sizes, variation and similarity of Slabs. Botticino is an Italian marble, mainly possessed in BHANDARI MARBLE GROUP, Kishangarh, Rajasthan, India. offer our customers pretty looking Botticino Marble at affordable prices. BHANDARI Bottichino marbles give beautiful look to your home villa. Botticino marble is quarried in Italy. BHANDARI are leading supplier of Botticino Marble all over World. Marble blocks, Marble Slabs Marble tiles, Marble Handicraft, marble countertops etc. Botticino Fiorito Marble is beige colour marble with flower designs. Botticino firoto Marble is Italian marble available in BHANDARI MARBLE GROUP, Kishangarh, Rajasthan India. are leading suppliers of Botticino Fioritto Marble all over World. Botticino Fioritto Marble slab are available with us in ready stock in 16 mm 18 mm and 20 mm thickness. We can customize every size tiles of Bottichino Marble on advance booking. are Botticino marble Manufacturer, Wholesaler, Distributor, Dealer, suppliers Merchant of Bottichino marble slabs. Bhandari Marble Group is a top marble and granite manufacturer in India. BHANDARI MARBLE GROUP is also a oldest and biggest marble manufacturer, Marble Distribution,MARBLE dealer, Marble Wholesaler, Marble Merchant, Marble exporter, Marble Importer, supplier as it offers a vast collection of Marble, Granite and Natural stones. Bhandari Marble group is leading marble manufacturer, dealer and wholesaler of best quality Indian Marbles, Italian marble, Sandstone, quartz stone, Slate etc. BHANDARI MARBLE GROUP is a oldest and largest Indian Marble, Granite and Natural Stones exporters and manufacturer, marble exporter in india of tiles and slabs, specializes in providing BHANDARI MARBLE GROUP’S customers with high quality Marble, Granite and Natural Stones competitive prices and best packing and on time delivery. BHANDARI As a respected supplier in the Marble, Granite and Natural Stones the BHANDARI MARBLE GROUP takes pride in their quality Marble, Granite and Natural Stones, as well as on time delivery, best packing, floor fixing and after sell services, large inventoryof Marble, Granite and Natural Stones, and total dedication to the Marble, Granite and Natural Stones exporter and domestic trade. BHANDARI is well known marble, Granite and Natural Stones exporter company is in the supplying of wide range of finest quality Italian Marble, Imported Marble and Indian marble. BHANDARI MARBLE GROUP has ready stock of high quality Marble, granite and Natural Stones exporter. MAKRANA MARBLE , Milky white marble, Banswara White marble, Agaria white marble , Ambaji white marble, Rajnagar White Marble , Morwad white marble, Dark Green Marble, Light Green Marble , Rainforest green marble, spider green marble, lawante green marble, onyx green marble, hunny Onex marble, White onyx marble, Pink onyx marble, red onyx marble, marble from Iran, Marble from Turkey, Marble from Italy, Marble from Vietnam, Grey marble, Red marble, pink marble, black marble, beige marble, yellow marble, golden marble, brown marble, 2CM, 3 CM, 4 CM, 5 CM thick marble, Rainbow Stone, Bottichino marble, Teak Wood stone, Bidasar marble, Jaisalmer marble etc. BHANDARI MARBLE GROUP supplying entire World. BHANDARI MARBLE GROUP are also leading marble manufacturer, distributor, dealer, Merchant, Wholesaler, Importer, Exporter, in Kishangarh, Rajasthan, india, granite manufacturer, Granite Wholesaler, Granite distributor, Granite dealer, Granit Merchant, Granite Importer and Granite Exporter in Kishangarh, Rajasthan, India, Natural Stones manufacturers and exporters in india. Bhandari Marble is today one of the leading Granite, Granite Plates, Marble, Slate, Wholesaler, distributor, Merchant manufacturer, exporter, supplier company in Kishangarh, Rajasthan India. BHANDARI MARBLE GROUP supplying marble, Granite and Natural Stones to Builders, Architects, Interior designers, Hoteliers, Colonisers, Town planners, contractor, or Marble, Granite and Natural Stones import company, Exporter company.